Thanks to everyone who participated in this year's event! 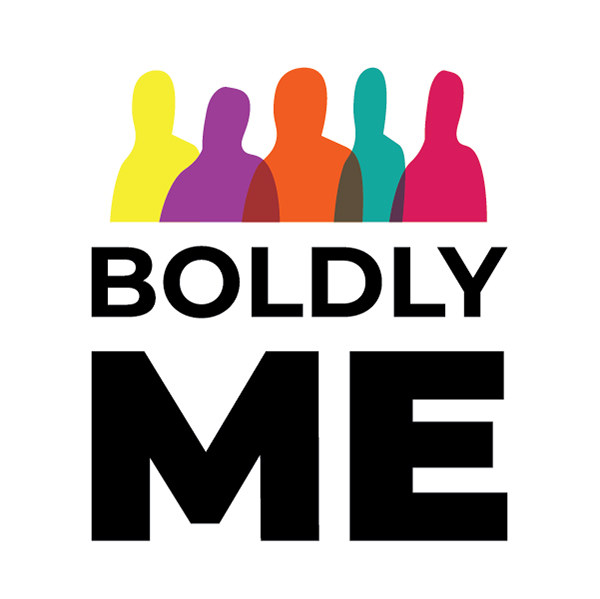 Boldly Me is a week full of events focused on healthy sexuality and promoting inclusivity for diverse gender identities and sexual orientations. This week is all about celebrating the uniqueness contributed by each and every member of the OSU community through events designed to promote healthy relationships, increase understanding of consent, and showcase individuality in identity! Events are brought to you by Student Health Services and the Wellness Agents, the OSU Craft Center, OSU Program Council, UHDS, CAPS, the Pride Center, the Hattie Redmond Women and Gender Center, SHS Prevention and Wellness, Dixon Rec Sports Programs and Physical Activity Peer Team, SARC, and a group of generous community donors. As a part of our Sexual Health Fair, students are encouraged to join OSU Craft Center staff members in the SEC lobby for two awesome activities: identity paper crafting and diy aromatherapy product making. Craft a representation of what it means to be uniquely “Boldly YOU” and utilize cocoa butter and dried herbs to make an aromatherapy bath bomb or lotion bar. Our time in college is one of the most important times for us to cultivate and develop healthy friendships, but often we don’t dedicate enough time and effort to these vital relationships. During this session, we will learn about the importance of healthy friendships to your college and life-long success as well as practice the skills necessary to enhance and sustain your friendships. You are invited to join us at the Hattie Redmond Women and Gender Center for an interactive workshop and delicious treats donated by wonderful community businesses. Conflict within relationships is inevitable, but our experiences with conflict do not have to impact our relationships in deleterious ways. In actuality, conflict can serve to strengthen relationships if addressed in productive ways, so we have designed this session to learn and practice skills for productively navigating conflict in a variety of situations. Join us in the Hattie Redmond Women and Gender Center for this hands-on workshop and discussion as well as afternoon treats donated by our generous community businesses. Some wonderfully BOLD students have generously volunteered to share their experiences with and understandings of identity, sexual health, and inclusivity at Oregon State University. Faculty and staff are invited to this panel where they may hear our students’ stories, ask questions pertaining to sexual health and wellbeing on campus, and discuss ways in which everyone can contribute to a more inclusive campus culture. Have a question for a campus professional relating to gender, sexual orientation, relationships, or sexual health? Come ask this panel of distinguished professionals, which include the expertise of a family nurse practitioner, couples counselor, sexual health coordinator and the assistant director of outreach for the Office of Institutional Diversity. Let’s celebrate every BODY because being physical is a great way to build and exhibit confidence in one’s identity. The body positivity fair is designed to promote inclusive, personally-empowering opportunities for you to appreciate your body! We have gathered partners from all over campus to provide demonstrations, activities, and resources to support you in embracing your bodily identity. We invite you to join us for the Boldly Me Variety Show, an evening dedicated to student expression. OSU students and student groups will present creative performances that showcase their identities, promote campus inclusivity, and encourage healthy relationships. From slam poets and comedians to dancers and martial artists, these outstanding performers are not to be missed. Come enjoy an evening of diverse entertainment and support your fellow Beavs at this year’s Variety Show. Members of the Executive Committee Team have donated countless hours to unifying our campus and its partners under the premise of creating a safer, more inclusive space to celebrate and talk about what healthy sexuality means for all. I wanted to be a part of a community-based initiative to promote healthy sexuality. I want students to be empowered to express their sexuality and advocate for their health. I wanted to become involved in Boldly Me to help promote individuality and encourage the celebration of life, love, and identity within our community. I wanted to become involved with Boldly Me to help celebrate and encourage inclusivity, healthy relationships, and individuality among Oregon State University’s diverse community. I wanted to become involved with Boldly Me to promote self-love, inclusivity, and healthy sexuality among students in the OSU community. I wanted to become involved with Boldly Me to help encourage healthy sexuality and inclusivity among OSU students. As a future health educator I am extremely passionate in promoting healthy sexuality and accurate health knowledge because of the role it plays in our lives. I wanted to be more involved in the OSU community so when I heard about the Boldly Me event I knew this was a great opportunity to not only be involved but help promote healthy sexuality and inclusivity for all identities and backgrounds. I wanted to become involved with Boldly Me in order to promote healthy sexuality, inclusivity, and positive relationships throughout Oregon State’s campus. I wanted to become involved with Boldly Me and the OSU community to assist in creating and promoting a platform for inclusivity of all identities and backgrounds. I wanted to become involved with Boldly Me because I think it is really important to promote healthy relationships, healthy sexuality, and inclusivity within the OSU community. I wanted to work on a project that allowed people of all backgrounds to be empowered and supported in expressing their sexuality in a healthy way.